Barons, AB grain elevators, 1913. 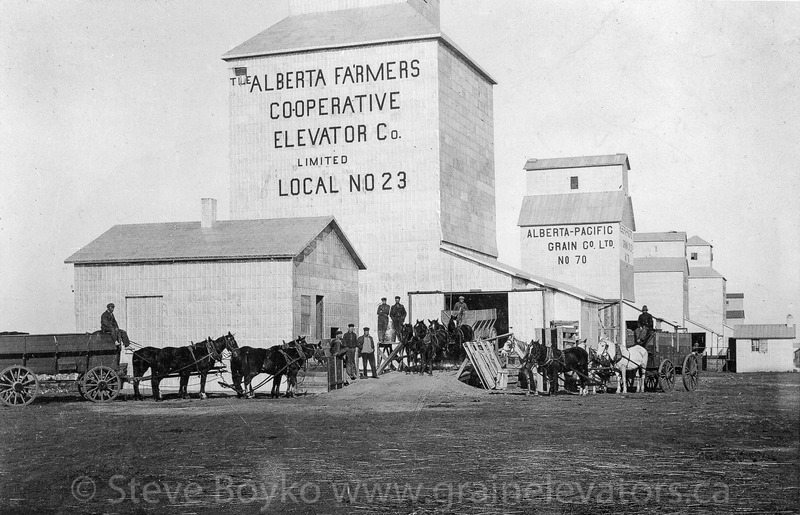 RETROactive has posted an updated list of Alberta grain elevators. According to their list, there are 110 wooden grain elevators remaining on the railway rights-of-way. You can see photos and descriptions of Alberta’s grain elevators here on Grain Elevators of Canada. We’re always adding more – eight in March, including Cardston, Carstairs and Trochu!